Tutu B is a newbie in the urban music scene. The young incredibly talented rapper /singer from Buea comes with a new vibe and flavour to get to the pedestal of fame. 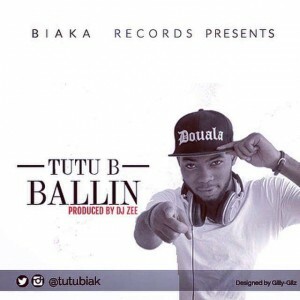 “Ballin” is debut single skillfully produced by DJ Xionic (DJ Zee). His rap style is full of great punchlines blended with a “Drake-like” singing timbre.